Another interesting aspect, from a historical point of view, is to find the places in town where commercial activity in regard to food and foodstuffs took place over the centuries beginning in medieval times through to the 19th century and compare it to today. Starting off at the Cathedral, we can stroll along the network of narrow streets that connected to the main axes of the city road system dating back to Roman times, the Cardo, that ran north – south, and the Decumanus, that ran east – west. Beyond Piazza Antelminelli, we enter Via San Donnino and then turn onto the charming Via del Battistero. Today, Via del Battistero is a succession of antique shops where an astute collector can find pieces of undisputed quality from any time period, be it furniture or figurative art, historically tied to European, Italian, and naturally, Tuscan taste. For example, in a shop window there is a high-quality Flemish painting dating from the second half of the 17th century. It belonged to one of those Lucchesefamilies that already in the 1500s had strong commercial ties with Flanders. The subject is a servant girl, finely dressed, carrying a basket with vegetables and a chicken. At first glance, her face appears somewhat abnormal, almost deformed. However, if you observe the face closely, you can appreciate the great introspective and descriptive skill of the artist. It is a realistic portrait of a big-eyed, pale-faced girl of the North, not even especially pretty. You can perceive a specific Flemish painting technique where the artist paints the background in quick strokes, creating borders and backgrounds of evanescent contrast but, at the same time, he skilfully concentrates in microscopic detail on the subject and her clothing particularly on the lace collar and the animal: a guinea hen. Even a neophyte is able to tell that this painting of …. “The Girl without the Pearl Earring” is of superior quality. A bit further along, we arrive in Piazza San Giusto with its Romanesque church of the same name. The church dates from the second half of the 12th century. The portal and white marble reliefs of the arches were done by the school of Guidetto. Strangely the church faces west not east as was the custom. The importance of having the Cardo Maximus in front, no doubt, established its orientation. Until the 13th century, the church was the seat of the University of Merchants, a forebear to today’s Chamber of Commerce, so trading, most certainly, took place in the square. The longitudinal cuts in the marble door jambs bear witness to this. They are clear signs of blades of knives being sharpened in order to cut cloth, tanned hides, vegetables, or meat. Just a few steps away, Piazza Napoleone awaits us. Before the sovereign Elisa Baciocchi Bonaparte had all the buildings razed to accommodate the large square, near the archway, leading into Corte del Pesce (Fish Court), was the location of the town fish market. Undeniably, it was in this area already in the 16th century, so this is how the court acquired its unusual name. Documents and the coat of arms located on the internal arch attest to the fact that the court was privately owned. 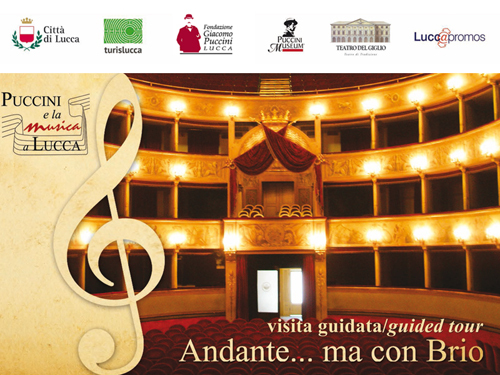 From Piazza Napoleone, we then walk over to Piazza San Michele by way of Via Beccheria. The name of the street derives from “beccai” meaning butchers in English, and confirms that butchers plied their trade in this area. 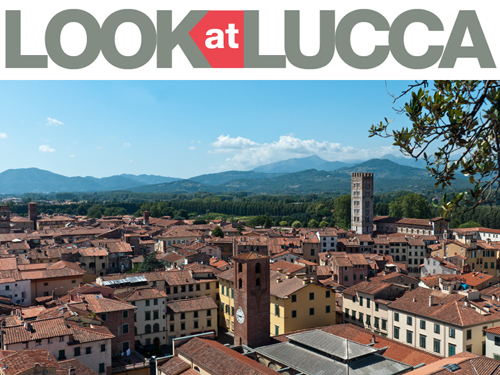 Just round the corner is Piazza San Michele in Foro, the heart and commercial centre of Lucca right from its founding. Innumerable markets have been held in this square: food, grains, tableware, clothing, toys, and anything else you can think of were sold in this open-air market for 2,200 years. This is no longer the case today in 2017. Signs of these centuries-old activities, however, are everywhere in the square if you know where to look. The most visible evidence is found in the form of indelible graffiti on the walls of the most important monument of the square, the Basilica of San Michele. Along the church’s southern wall, there are sanguinegraffiti that depict a towered town and a port with ships and boats full of cargo. Despite the fact that, through the ages, people have tried to remove the graffiti, for the most part irreverent given the sacredness of the building, most of it is still visible. In particular, some writing in 14th century Chancery Hand makes it possible to date the graffiti. This is visual and documentary proof that Italian and Lucchese merchants were heavily engaged in commercial trade in the Mediterranean. It is proof that Piazza San Michele was one of the final destinations of precious goods that would travel for thousands of kilometres by sea and land from the East to the West and vice versa. Traces of the Orient and North Africa can be seen in the marble reliefs in the band that separates the marble-faced lower wall from the colonnade above. In fact, toward the back, more or less above the entrance to the bell tower, we can distinguish a dromedary even though it is heavily worn. Years ago, a young man, interested in the graffiti of Lucca’s churches as I am, showed me a photo he had taken of a dromedary that he had seen in the Church of San Pietro Somaldi (if I remember correctly). It too was a sanguine graffiti. Alas, after a subsequent restoration, the drawings are no longer visible and I cannot recall the young man’s name or his address. In the narrow streets round the square, there are still “relics” of the old spice and grain and bean shops. Long ago, the fragrant aromas and odours of the products that were sold would fill the air and streets of the town. One of these shops, Prospero, is located in Via Santa Lucia just metres away from the back of the church. The shop still has its original wooden shutters, the iron guard posts and bands along the external wall, and more importantly, the same business is being conducted. It has been passed down through the generations to the current descendants of the original proprietors. They devotedly continue to sell sacks brimming with dried beans, lentils, peas, chickpeas, and grains like farro (spelt) and other quality products of the territory such as extra virgin olive oil. 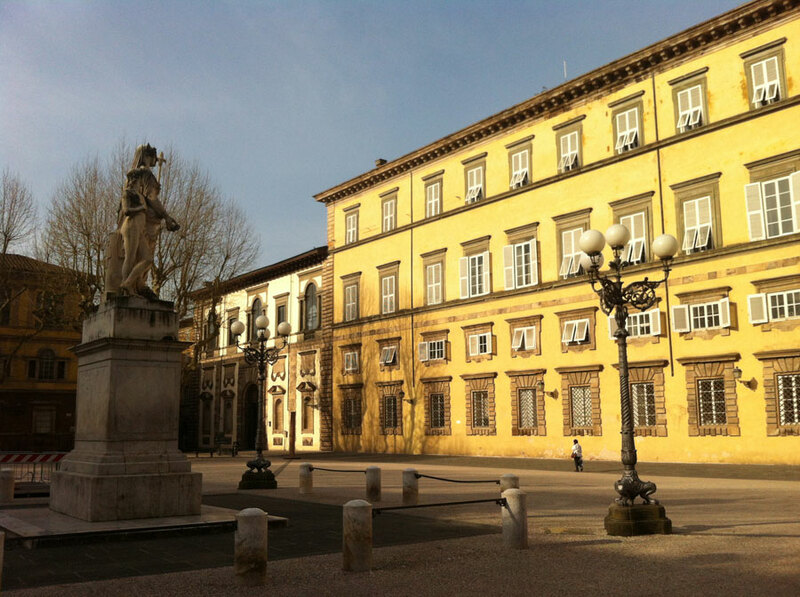 Posted in Blog ed etichettato Art, food, Lucca, Piazza San Michele. Bookmark the permalink.